In the summertime, when wine enthusiasts are looking for something light, crisp and a little bit sweet, they tend to reach for Riesling. This white wine is traditionally German, however it is still made all over the globe. 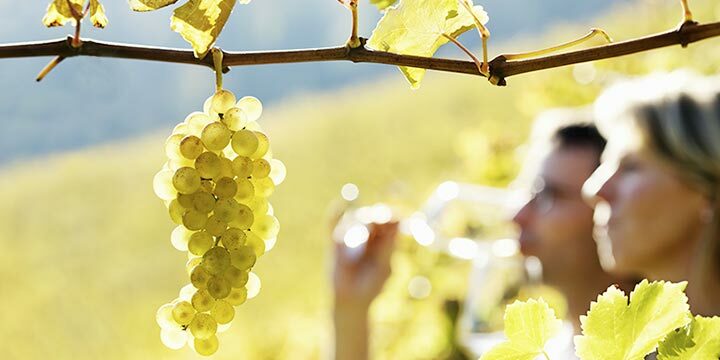 The source of your Riesling can be determined by the nature, taste and aroma of your glass. Riesling has a reputation as only a sweet wine, but there are plenty of dry options out there, as we will see below. Let’s take a look at this tasting guide and introduction to the popular varietal that rules the summer. There’s no disputing the fact that Riesling grapes originated many centuries ago in Germany, specifically the Alsace region bordering France. Riesling grapes’ ancestor is one that eventually begat Chardonnay and Chenin Blanc, among others. The wine quickly gained popularity with German nobility, who stored it in great quantities and even took it with them on journeys of conquest. It was through this massive stockpiling that they discovered Riesling was unique among most white wines in that it benefits from aging. Unlike most whites, which are drunk when they are young, certain Rieslings can be enjoyed after decades, assuming, of course, it was stored in the right conditions, thanks to the high acidity level of the wine. Germany continues to reign supreme in the world of Riesling, but because production in most places is fairly limited, other countries have been growing the grapes as well. Australia and the United States come in second and third, respectively. France, Austria and New Zealand grow a few thousand acres each as well. Riesling grows best in rocky, steep terrain where the vines can get a great deal of sun. In the U.S., western states such as California, Washington and Oregon are top Riesling producers. Because the winemaking process with Riesling can be labor-intensive, most production is done in relatively small batches. There are many wineries that bottle Rieslings, but the real estate devoted to the vines and the number of barrels produced both are low in number. Though most people expect Riesling to be sweet, there are many vintages that are dry, particularly those from Germany. Of course, it’s easy in the United States to find all kinds of sweet varieties because that’s what many consumers enjoy. However, it is good to know that sweet Riesling is not your only option. Dry Rieslings from Germany might have a label that advertises “trocken” or “dry”. However, it’s increasingly the case that dry Rieslings in Germany are rule rather than the exception. American Rieslings sometimes carry the “dry” label as well, though since most Washington and New York vintages are understood to be dry, there may be no indication of such on the label. In the U.S., consumers generally can expect a Riesling to be sweet if the label does not indicate anything to the contrary. If you are looking specifically for a dry Riesling, do a little research before hitting the wine store or ask the wine steward to help you find what you are looking for. Most wine collectors who prefer aged wines will stick mainly with reds, but the highly acidic Riesling makes another good addition to any wine cellar. Riesling sales in Germany have always been strong thanks to its status as a hometown favorite. In the United States, however, the popularity has risen greatly in the past few decades as wine enthusiasts have discovered the variety available in Rieslings. Many American wine drinkers are drawn to Riesling’s fruit-laden flavor and crisp taste. It’s very easy for even beginners to pick out the flavor profiles present in Riesling–apricot, peach, apple and lemon–because this varietal is one of the most aromatic in the wine universe. The age of the Riesling will play a major role in its aromas and flavors. Younger Rieslings will have notes of lemon and pineapple. The secondary flavor might be honeycomb or ginger. Aged Rieslings are said to have hints of petrol among the flavor profiles, and this trait is one of the most sought after among wine collectors and fans of Riesling. Riesling should be served after about 30 minutes outside of the refrigerator. It should be lightly chilled, not extremely cold. This is another factor that makes it a popular drinking wine during warm months. 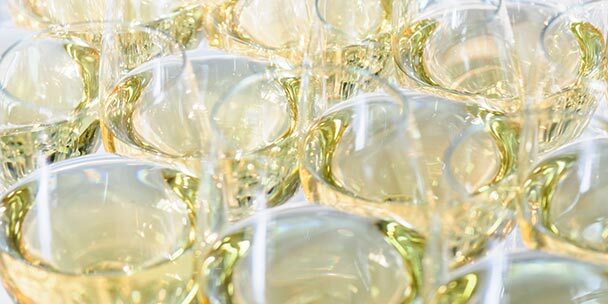 When it comes to tasting a flight of Rieslings, be sure to spend a lot of time examining the different colors and viscosities you might find among your samples. Any Riesling tasting guide will focus on enjoying the various aromas before you even take that first sip. Also, Riesling has a low level of alcohol, so feel free to swallow after each taste instead of spitting, if you’d like. Riesling usually is served in a white wine glass, though the iterations of “Riesling glasses” are many. Some sources insist that a shallow, wide bowl with a large opening is best for showcasing the bold aromas of traditional German Riesling. However, it’s perfectly fine to use a glass with a slender, medium-tall bowl as well, if that’s what you have on hand. Like many white wines, Riesling pairs well with spicy foods. Its low serving temperature and crisp finish make it the perfect foil for Thai, Indian or Chinese foods. 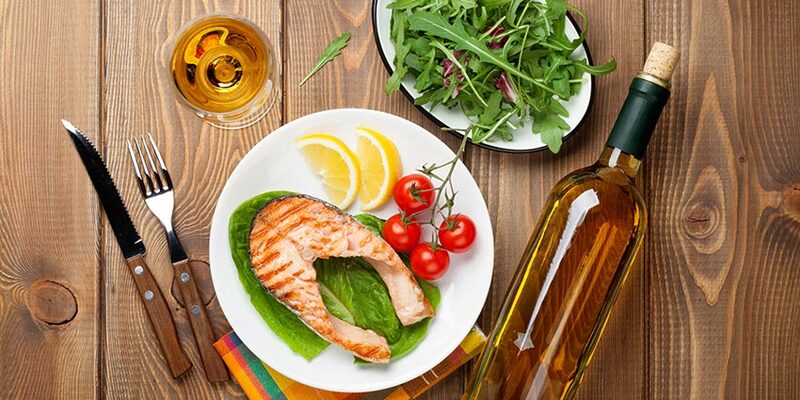 When serving Riesling with meat, choose white meats, such as chicken, turkey or seafood, such as crab or shrimp. Riesling classically is paired with mild cheeses made from cows milk. Steer clear of the “stinky” cheeses, as these will overpower the delicate fruit flavors in Riesling. Vegetables with a high level of sweetness such as carrots or eggplant pair nicely with Riesling. Riesling is an appealing wine with a long historical tradition. From its origins in Germany, its popularity has grown worldwide. It’s a new darling among wine collectors looking for unique vintages to add to their wine cellars or even to enjoy after just a few years in the bottle. 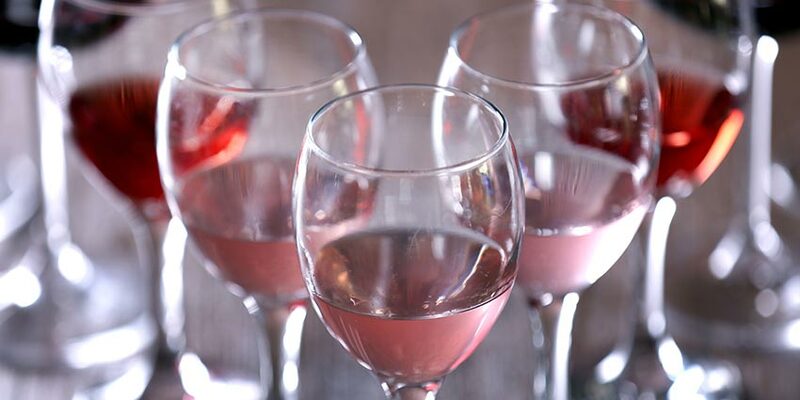 Its refreshing, crisp flavor with a touch of sweetness makes it a perfect wine for summertime enjoyment. The next time you are planning a dinner party, pull out the Riesling and luxuriate in a pleasant evening outside with your guests.